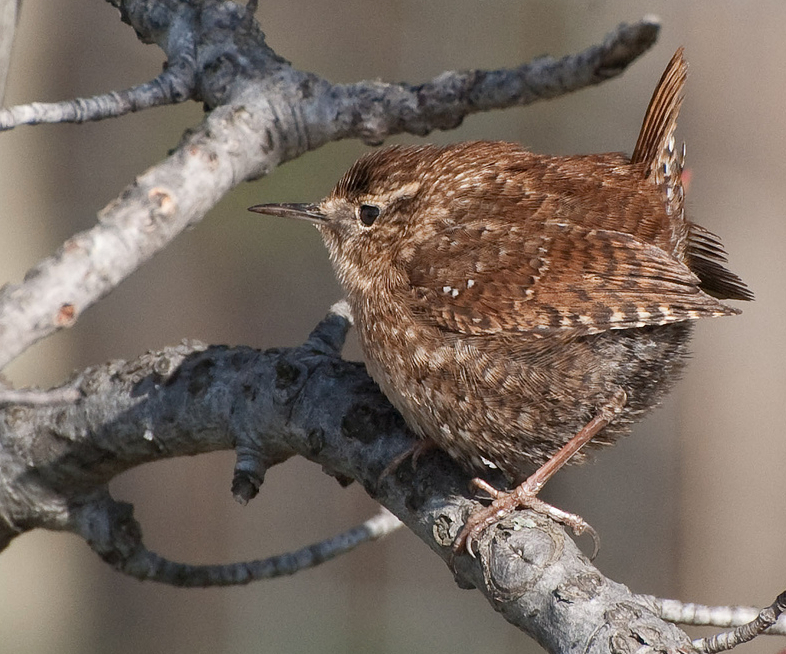 In migration through Arkansas, this bird was so small and so active he was hard to photograph. 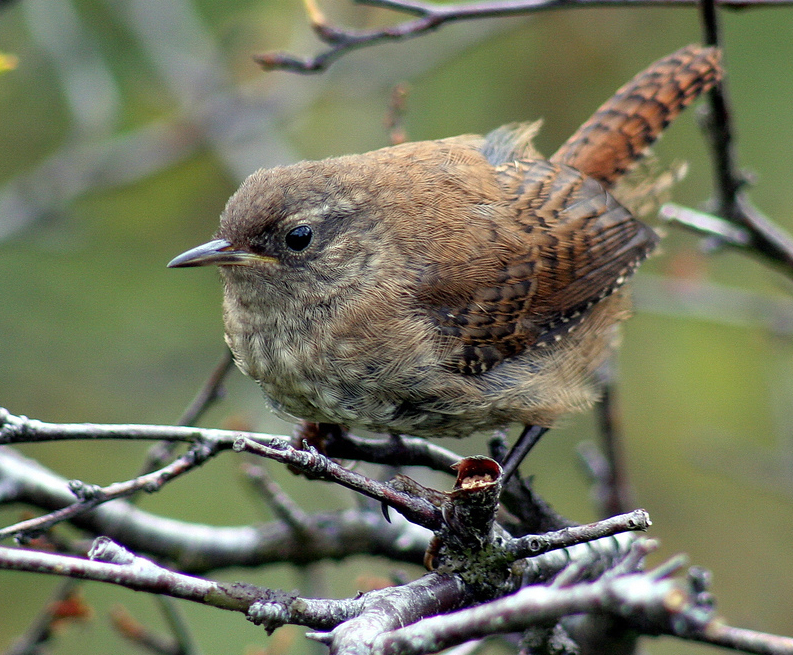 It is the non-resident Winter Wren taken near Parthenon, Arkansas. Short tail, usually cocked upward. Uniform dark brown plumage overall. Similar to adult, but darker. A few pictures of what the general 3-5 inches of rain during this week created; pour-offs. 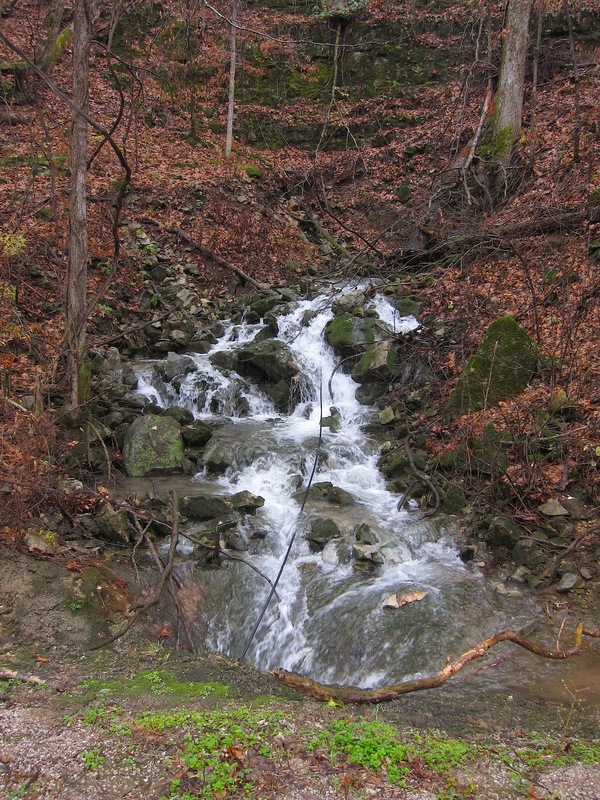 These waterfalls occur when heavy rains work their way down mountain rivulets, streams, and gullies to the highways below. This is a very common sight the the Arkansas mountain country. These are near my home in Murray valley. Yesterday, Saturday 11/26 we registered another 1/2 inch rain the the gauge. 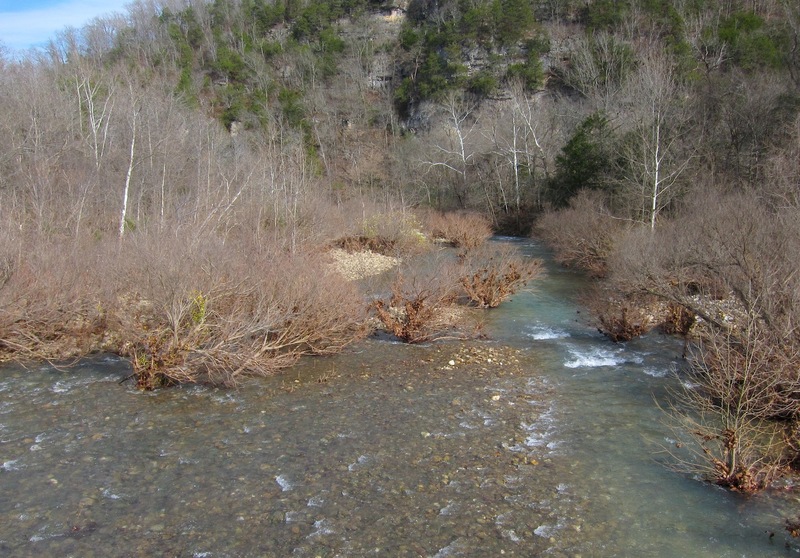 Since the leaves have fallen, two giant slump rocks on the south side of the Little Buffalo River are exposed again. 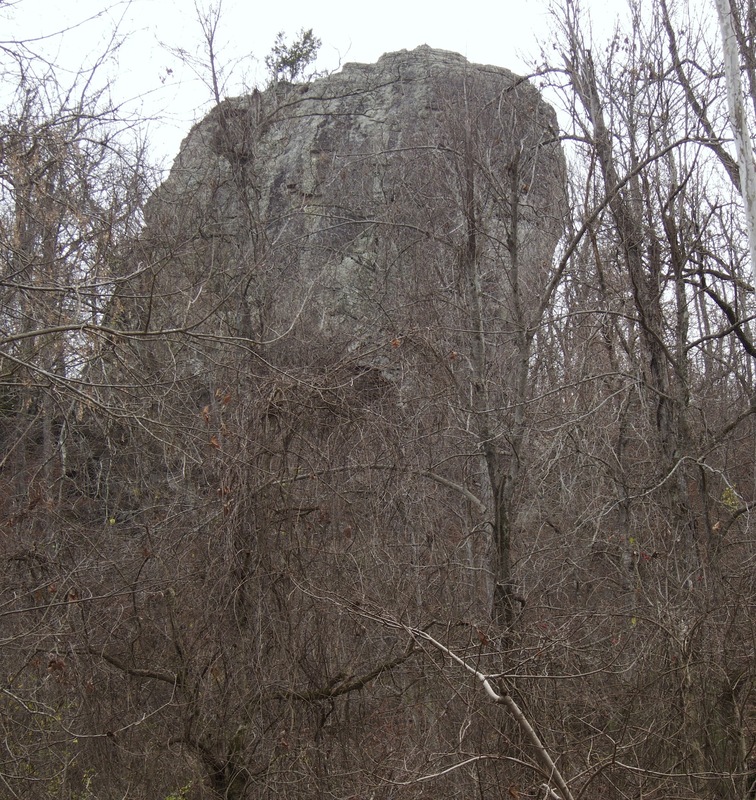 These rocks are off Murray Road about one mile west of Parthenon, Arkansas. These huge rocks; approx. 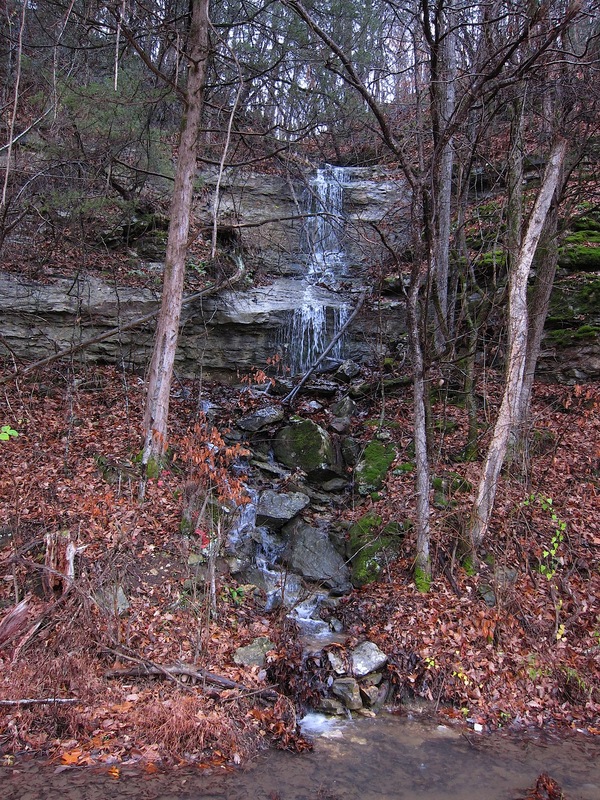 90 feet tall and 40-50 feet wide and deep, have fallen from Henderson mountain thousands of years ago (pictured below). 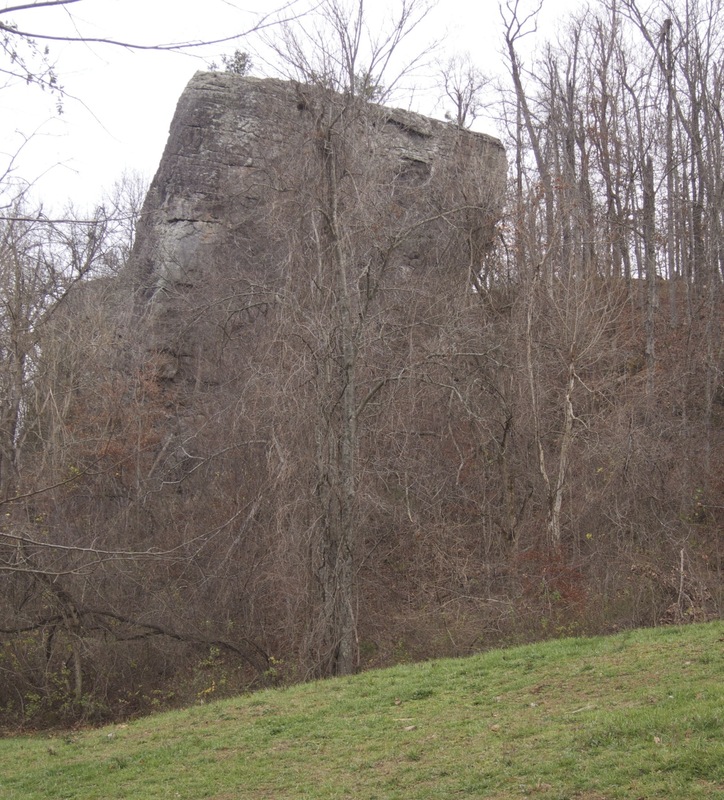 Directly across the Little Buffalo in Hannah Hollow is another equally large slump rock, this one had fallen off Reynolds mountain, and had a good soil buildup upon it from its years of gathering falling leaves. The old woman who lived there used the boulder for her garden for more than 20 years. She had a ladder leaning against the rock which she would climb up to plant and tend to her vegetable garden. Every evening she would pull the ladder down so that the fruits and vegetables were safe from garden pests such as raccoons, rabbits, turtles, squirrels, etc. With a half acre garden 30 feet tall with nothing but sheer rock walls surrounding it; it was a safe place. 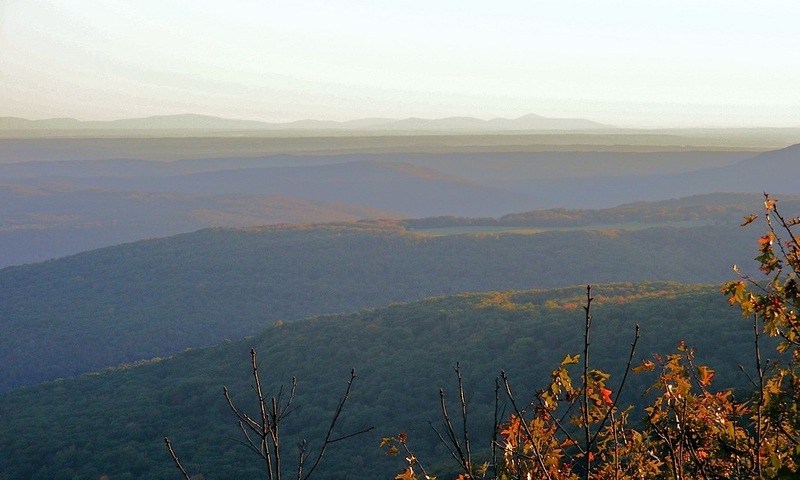 The following is a picture of Mount Magazine (AR’s highest point) in the far distance, from Hare Mountain south of my home. Looking in the distance across the Arkansas River valley, just to the right of center you can see Mount Magazine on the horizon; in the Ouachita Mountians that run from southern Arkansas into southern Oklahoma and just beyond the Ouachita’s is northeastern Texas. Hare Mountain, where I took this picture, is an infamous location where the first black-bear to hiker attack took place in 1990. 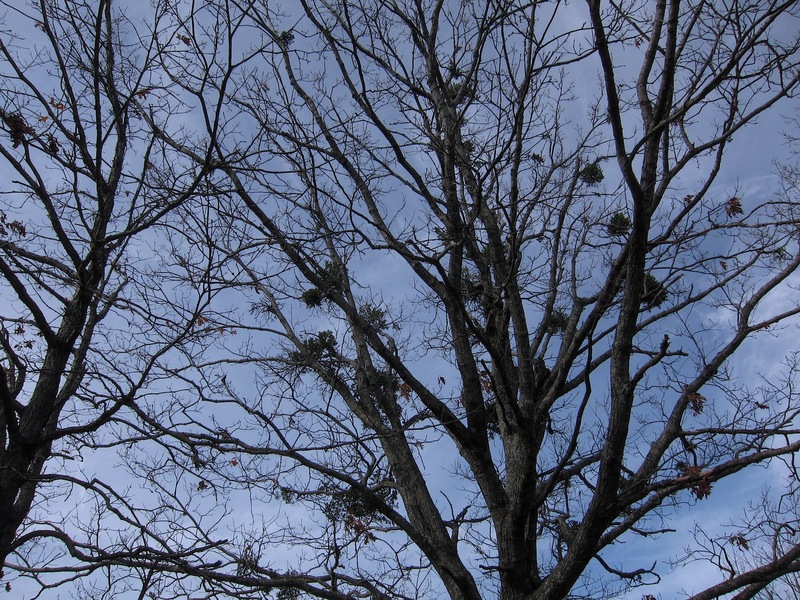 The hiker from Wichita, Kansas was seriously injured. he had been sleeping in a tent with his food supply when the bear attacked. He is fine today and still hikes. 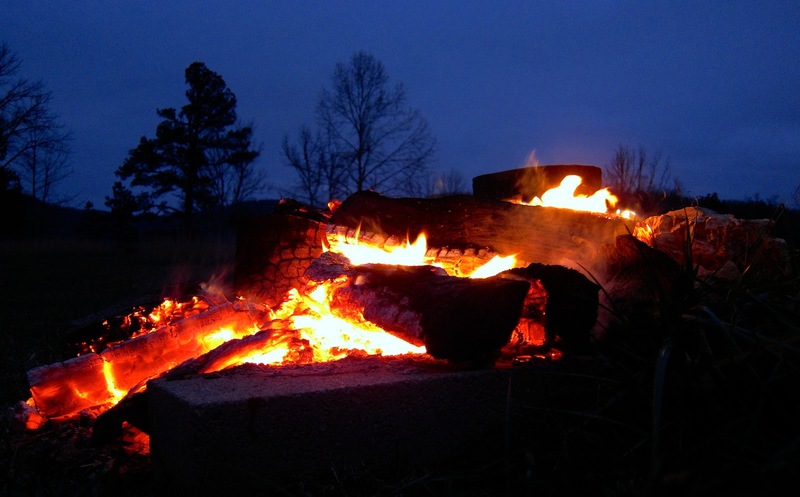 It is 60F this morning at 9:00 AM here in the Murray valley; there is rain and fog in the mountains; and the pour-offs are still running good. 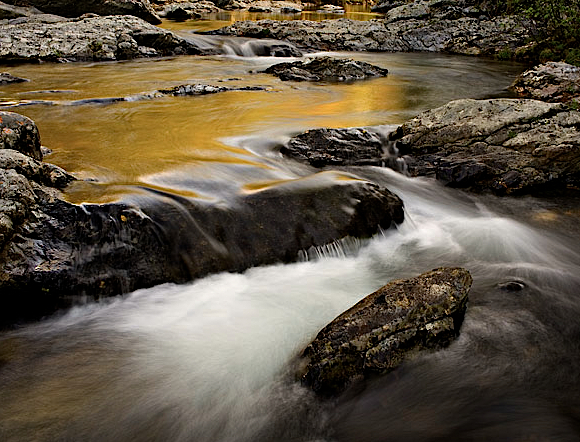 We are supposed to get about 1-1.25 inches of rain today and then a light dusting of snow on the higher peaks tomorrow. I’ll be there for pictures. There was 1o” of airspace under Ponca Bridge on Friday and the river was floatable and clear at Boxley (a Class II-III ride). Beautiful !! 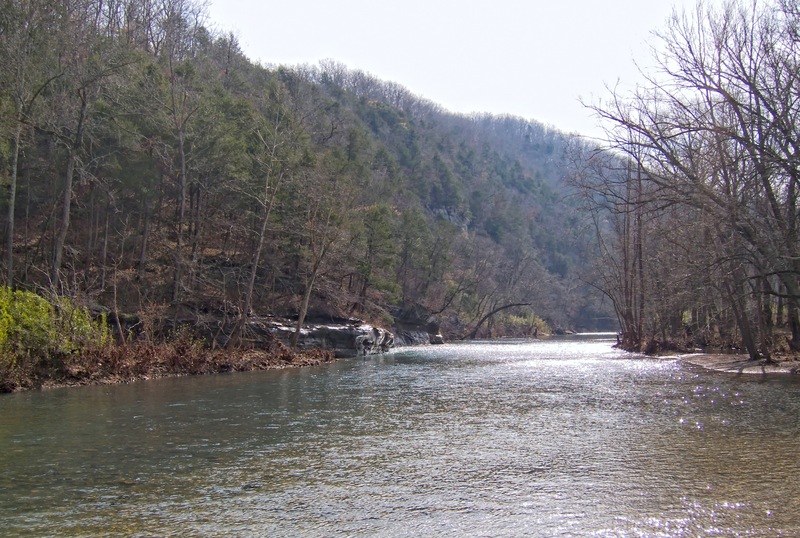 Drove to Compton yesterday, saw a few Elk (the rut his mostly over for the year) and took a few pictures of the Buffalo River at Ponca and Boxley; included below. The roads out of Compton towards the Hemmed-In Hollow Trailhead were impassable due to the week’s heavy rain; couldn’t get to Erbie either. Instead did some shopping and worked around the house.